To provide financial assistance for children who are deaf/hard of hearing. Our story started in 2002 when we were blessed with a beautiful, bright-eyed daughter. However, after not passing a newborn hearing-screening test, we learned she had a moderate/severe bilateral sensorineural hearing loss. Like most parents, any kind of hearing issue was not on our radar as we were preparing for our new family member (93% of deaf/hard of hearing babies are born to hearing parents). This news led us on a crash course to learn as much as we could about the options available to assist children with hearing loss. At four months of age, our daughter received her first pair of hearing aids. We have seen firsthand the impact of having access to hearing aids early can do, it is huge. Today our daughter is a thriving teenager and we feel truly blessed. Unfortunately in the USA, less than half of the states, including Kansas, require insurance to cover the lifetime cost of hearing aid expenses. What this means for families who have limited financial resources is a child in need of hearing aids may go without and studies have shown once children get behind it can be very challenging to catch up to their hearing peers. In early 2017, we started the process and established Hear 2 help. This is my heart’s work.  Our mission is to provide financial assistance to families in need with children who are deaf/hard of hearing for hearing aids and assistive technology. We are a 501 (c) 3 that relies completely on volunteers and donations from the community for support. For more information on how you can help, or if you need assistance please contact me at Terri@Hear2helpkc.org.